Laurie Anglin has worked at Grady College since May 2010. 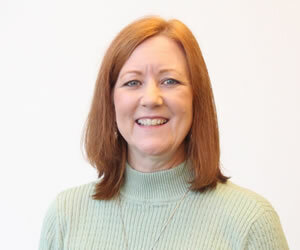 Prior to UGA, Laurie held positions such as controller, senior accountant, auditor and teller in the accounting field for various companies, both private and public. Laurie obtained her business degree with a concentration in accounting from Emory University and subsequently passed the Georgia Certified Public Accountant exam. Her role at Grady College is Administrative Specialist for the James M. Cox Jr. Center for International Mass Communication Training and Research, the international outreach unit of the college. She also serves as president of the Grady staff council for academic years 2017-2018.